These zip pouches are handy. 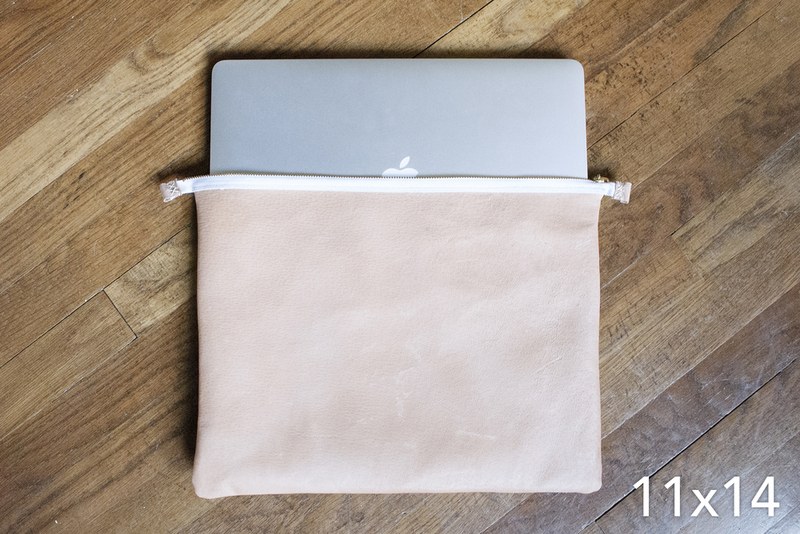 Laptop sleeve, portfolio, ipad case, pencil case, cord pouch, clutch, or dopp kit; whatever you need one for. 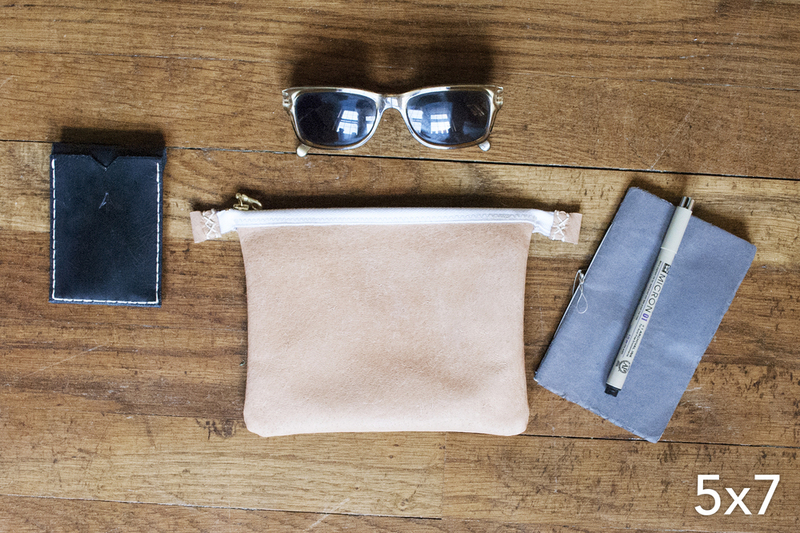 They do what other zip pouches do, but look classier doing it. The buy button is there to the right / scroll down on your phone. You're welcome. Let me tell you about pigskin. Pigskin is great. It's light, pliable but super strong. You can see all the little bumps where hair follicles were, giving it this great texture you can't get from cows. It's less likely to be as blemish free as cow hides, but as you should know by now, I like that imperfection. The interior of these pouches are un-dyed, but there will be little dots of dye that soak through the microscopic hair follicle holes. How cool is that? These pouches came about because I needed a computer cord keeper. 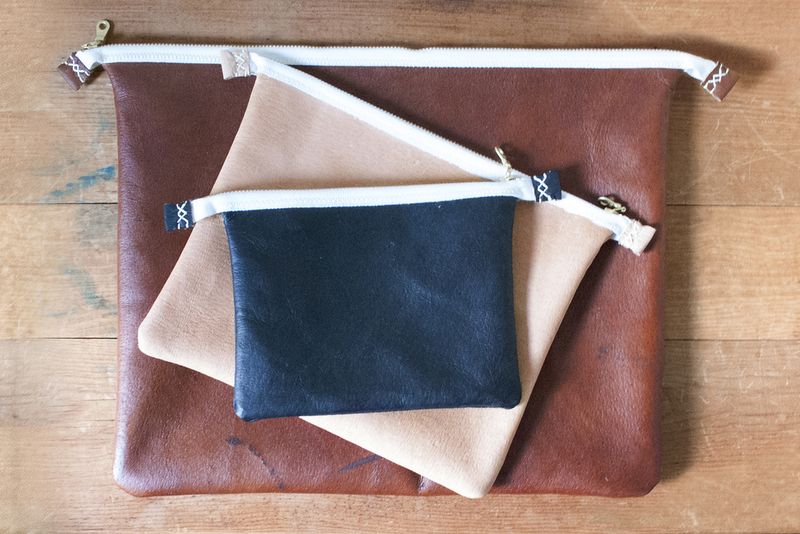 And a leather sewing tool holder. And an ipad case. And a laptop sleeve. I had no idea how much I needed these in my life. It's the simple things right?